Every year since 2014, WISE has facilitated a trip to Alaska Forum on the Environment for a small group of teens, usually participants from Copper River Stewardship Program. The youth meet with other students around the state, help with a presentation, and attend keynote speakers and breakout sessions on a wide variety of environmental topics. In 2018, we presented a talk titled "Watershed Haiku" to an audience of about 60 conference attendees. Alaska Forum on the Environment is a unique chance for our youth to experience the greater world of environmental issues, and be exposed to the myriad career paths possible within the discipline. We've attended talks and seminars on everything from marine debris to citizen science, and been inspired to learn more about the world around us. We also take an active role in the youth track, in 2017 our cohort led a lesson on "Voices from the Spill" in which they taught the history of the Exxon Valdez Oil Spill, facilitated the participants reading of first person accounts, then led an art project to help process the emotions they felt. 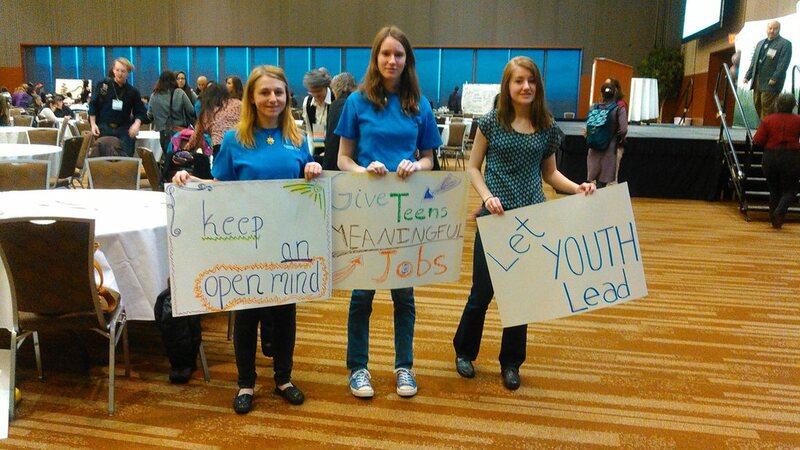 In 2014, youth participated in a Keynote address on Youth Involvement, and shared their ideas for successful projects.